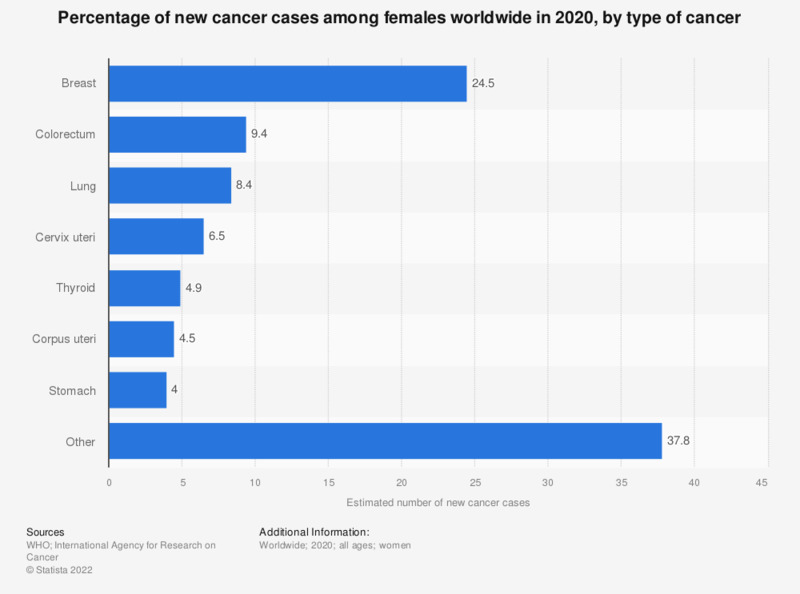 This statistic displays the estimated number of new cancer cases among women worldwide in 2012, sorted by type of cancer. For women of all ages the total number of new cancer cases was estimated to be approximately 6.6 million. Breast cancer was the most prevalent type of cancer, with some 1.7 million new cases in 2012.